Happy Halloween! 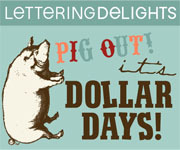 Since we had all of our festivities on Friday, I tried to keep today as normal a day as possible. I have to admit, my kids did pretty well considering. We read this cute book which went perfectly with the start of our geometry unit. In fact, I couldn't even get through the book without students interrupting to correct the book. 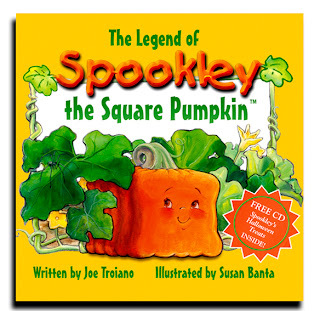 "Mrs. Bates, the author called Spookley a square, but isn't he really a cube? " 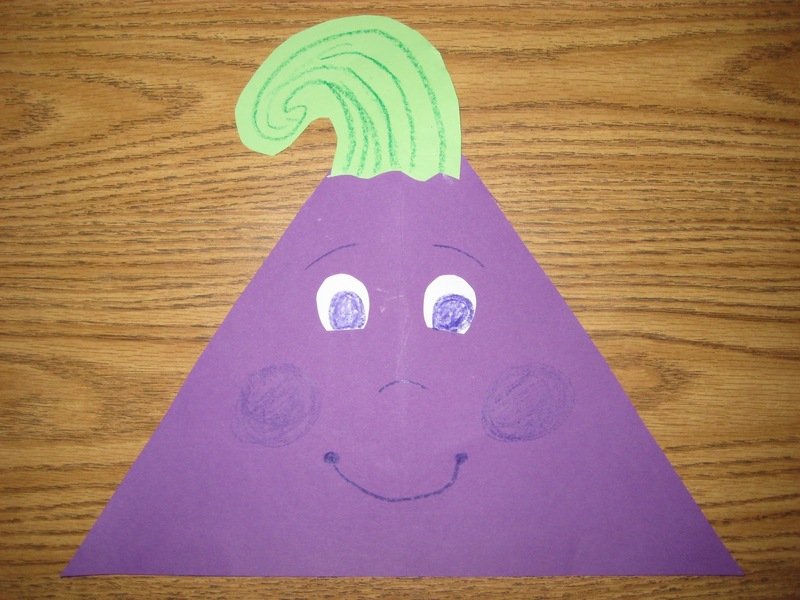 Another student adds, "Yeah, he isn't a plane shape." I swear I heard the Hallelujah chorus blasting in my ears. Apparently a few of these monsters DO listen to me occasionally. Each student made their own Spookley pumpkin and wrote a sentence or two describing the shape and color. Some students even named their pumpkins. I'm off to take my boys Trick-or-Treating. Unfortunately, I broke the cardinal rule and bought candy I like. Stupid, stupid. Will I be able to resist? Doubtful. Happy Halloween! I love Spookley!! 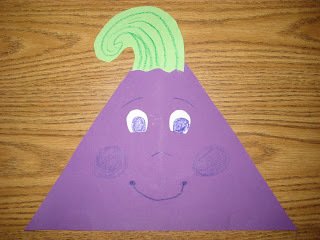 We read him last week, made a class book with different colored shape pumpkins and watched the movie as a special treat. It is a great story! They turned out so cute!! So far I have a pumpkin full of candy I love...those trick-or-treaters better show up!!! I have not read Spookley, but they have an extreme screen movie of it at our local kids museum here in Ohio- COSI. 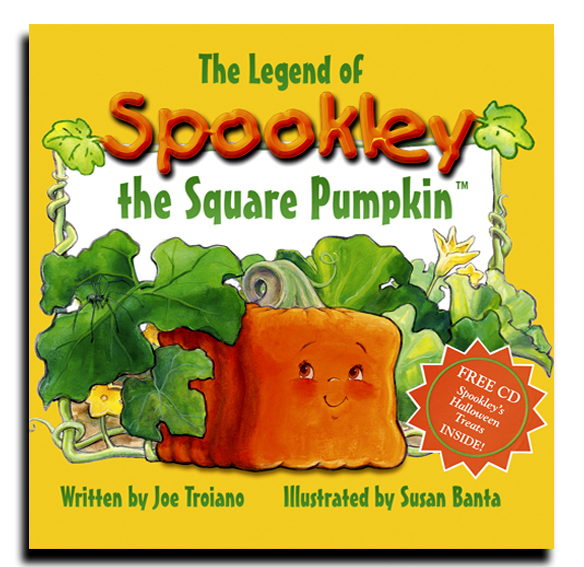 Sounds like a fun book and that is so awesome that your kids knew it was a cube, not a square! Happy Halloween! So cute! I just read this book for the first time today. My favorite Halloween book of all time!! I've been using Spookley for years now, and I love him just as much as I did the first year. I have the movie, as well (which came with a bonus plush Spookley!) and the kids always love it. We usually make our Spookleys with orange square paper plates that I buy in the party section of Walmart. I love the multi-colored ones your class made. Adorable! I've never seen this book! I'll have to check it out. Thanks. Such a great idea! I love your blog and I am nominating you for the blog on fire award, come on over and check it out! Ohhh! I LOVE that book! And your patch of pumpkins turned out so stinkin' cute! Love Spookley! I have a felt covered box that I wear and I act this out. I also have the movie. So cute!!! Cute idea! I just discovered Spookley this year. 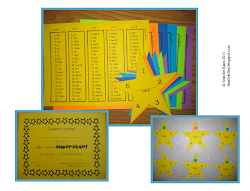 I can't wait to use this idea next year with my little ones.